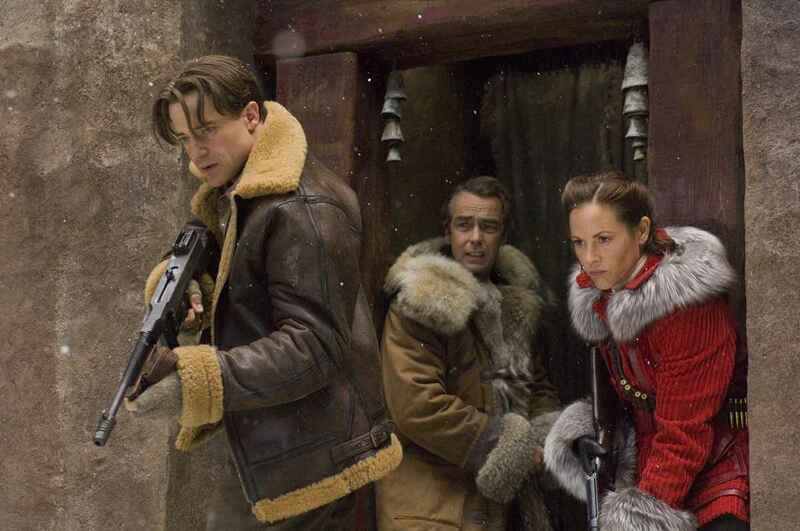 Alex (Luke Ford), son of the famous, but retired archeologists Rick (Brendan Fraser) and Evy (Maria Bello) tries to make a name for himself through a dig in China. 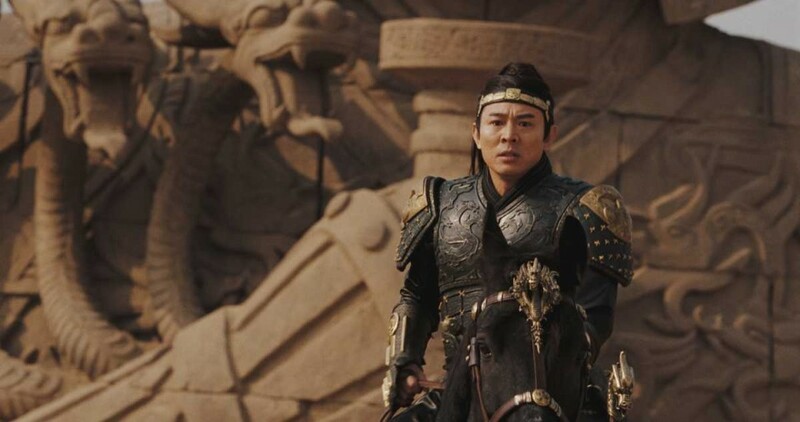 And when he digs up the tomb of the Dragon Emperor (Jet Li), his efforts seem to have been successful. Then his parents turn up in China as well, on one last mission. And the Dragon Emperor comes back to life. Things go quickly downhill from there. Where The Mummy Returns was a fun sequel, this one wasn’t anymore. It was just sub-par in pretty much every single aspect. There were several issues I had with this movie. First of all, the script just wasn’t as fun or consistent with the characters anymore. The tension between Alex and his parents, but especially Rick, came out of nowhere. John Hannah’s Jonathan only got to be ridiculous. And they just tried to pile too much into the film. Plus, Maria Bello is just no Rachel Weisz. I mean, she does her best, and at least the self-referential way they introduced this new version of Evy was really nice, but she just didn’t bring the same charm to the role (which was already weakened by the script). At least Michelle Yeoh was really cool (I just typed Michelle Yeah. Which is her spirit name, probably). Though both she and Jet Li were squandered in the martial arts department. You got both of them in a film and you don’t have hours of fight scenes? You’re doing it wrong. Is the film awful? No, not really. But it’s too crazy and it feels like it has no love for the ridicule – it’s just insane. And that makes it so much less fun than the first two. 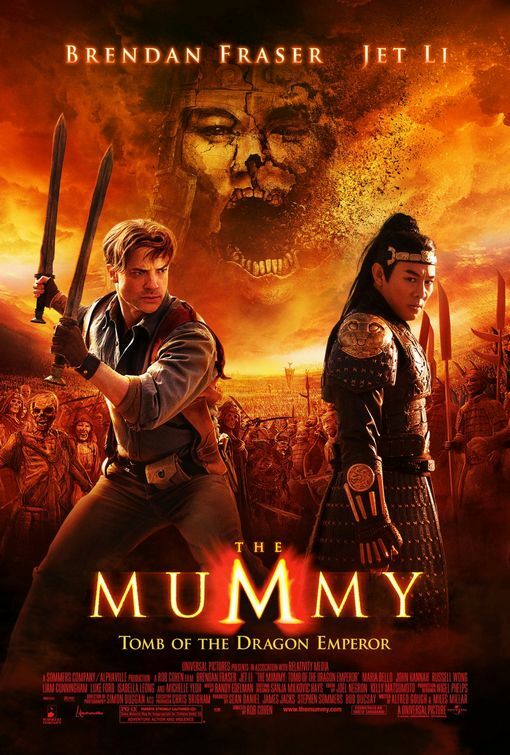 This entry was posted in movies and tagged 2008, Alfred Gough, Anthony Wong Chau-Sang, Brendan Fraser, Isabella Leong, Jet Li, John Hannah, Liam Cunningham, Luke Ford, Maria Bello, Michelle Yeoh, Miles Millar, Rob Cohen, Russell Wong, The Mummy, The Mummy: Tomb of the Dragon Emperor by kalafudra. Bookmark the permalink.